Got Noise? Put a Cork on It. Did you ever wonder why the floors in haunted houses creak so much? Probably because they have no cork under them (and you thought they were just trying to scare you). If you’re thinking of installing hardwood or laminate flooring and don’t want your house to sound like Jason’s coming to get you, I urge you to put down cork underlayment. Cork is the absolute best choice for “acoustic control” (reducing noise, that is) – it prevents creaking from the floor boards themselves and, when installed on second floors or higher, it keeps the noise from below from coming through the floor. How does it do that? Millions of air-filled pockets inside the material create a cushiony surface that prevents sound waves from travelling through. That’s why cork is commonly used in apartments buildings, hotels, museums and other high traffic venues where uncontrolled sound would kill the experience. Cork can be used with laminate flooring and almost every hardwood flooring installation, whether you’re gluing, nailing or stapling down the wood. It can also be used under ceramic tile or to build up a subfloor when there is a height difference in the floors between two rooms. And here’s a few more great things about cork I’ll bet you didn’t know: it’s fire resistant and environmentally friendly. 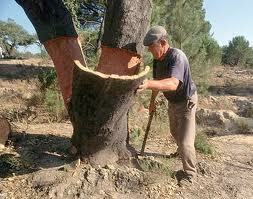 Cork is stripped from the trunks of cork oak trees beginning when they are 25 years old. Those big guys live to be about 200, giving us an abundant supply of this renewable material – an important fact for those of us worried about our carbon footprint. So what’s the downside (isn’t there’s always a downside)? Price. Cork adds about $2 per square foot to your cost, making it probably the most expensive of underlayment materials. I always try to save my clients money wherever I can, but this is one item I say is well worth the additional expense. There simply isn’t another material out there that controls noise as well, so unless you plan to tiptoe your way through life, I recommend bearing the price. 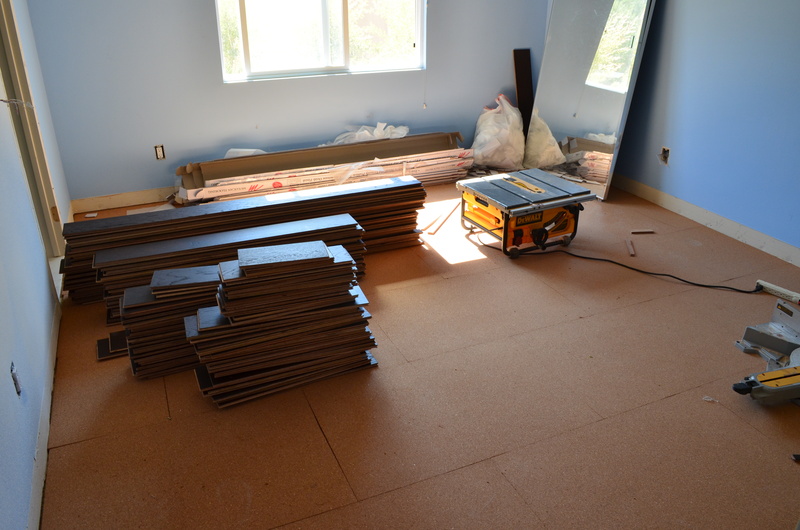 We recently installed a cork underlayment in a client’s Newport Coast home. He installed hardwood on his second floor and was very concerned about noise from downstairs disturbing him while he’s working in his upstairs office or trying to catch a few winks. Here’s a photo of the prep. For best installation, we glued the cork to the subfloor, then glued the wood on the cork. 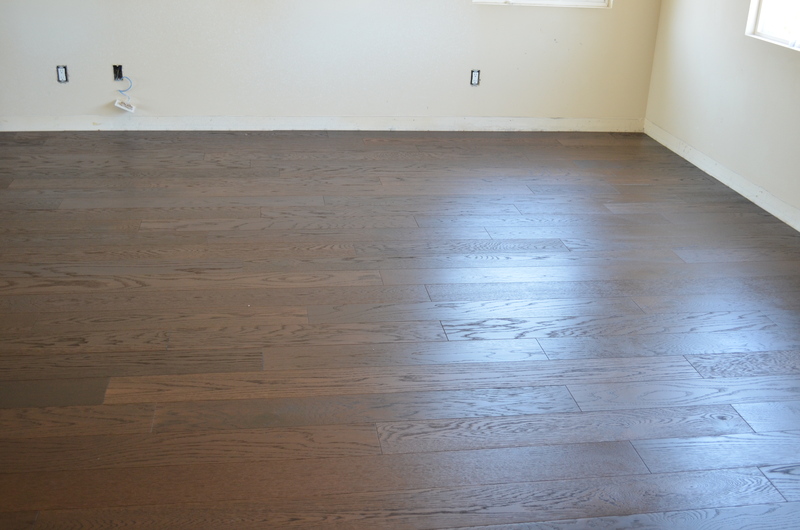 The wood you’re seeing is Midnight Oak, a beautiful, rich hardwood that never goes out of style. 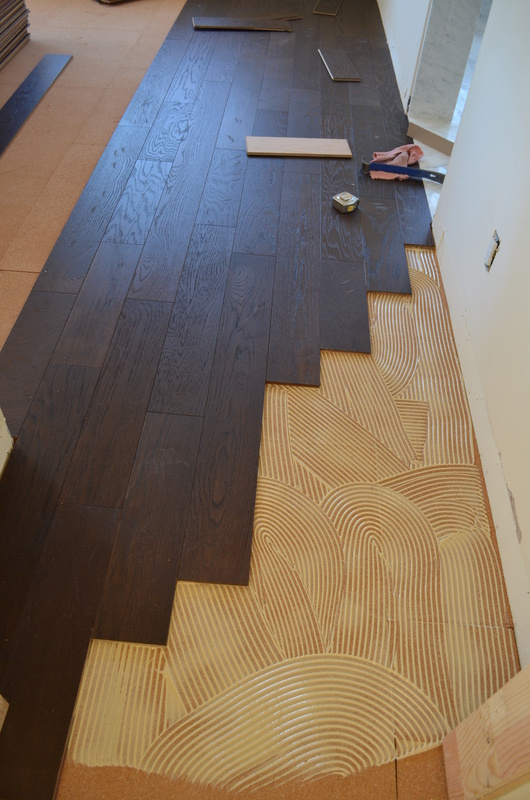 Keep in mind the baseboards have yet to be installed, so we’ll show you the finished project once we’re done. 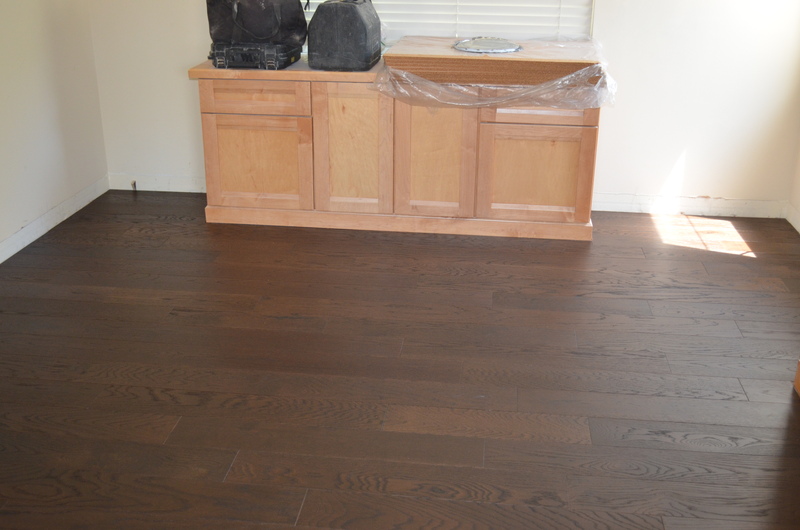 For now, you can see the beautiful hardwood floor with cork underlayment. And listen…. Before I go, I’ve got another contest for all you trivia buffs. What country produces the most amount of cork (hint – it’s not Ireland)? Send your answers in the comments section or on Facebook. Winner gets a free cork bulletin board courtesy of Eden Flooring and Construction, Inc.